If you visit or shop at our site, you accept these conditions. Please review our Privacy Notice, which also governs your visit to bmvintageshaving.com , to understand our practices. 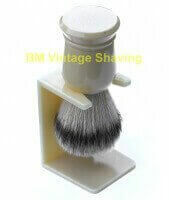 WWhen you visit bmvintageshaving.com or send e-mails to us, you are communicating with us electronically. You consent to receive communications from us electronically. We will communicate with you by e-mail or by posting notices on this site. You agree that all agreements, notices, disclosures and other communications that we provide to you electronically satisfy any legal requirement that such communications be in writing. All content included on this site, such as text, graphics, logos, button icons, images, and software, is the property of bmvintageshaving.com or its content suppliers and protected by United States and international copyright laws. 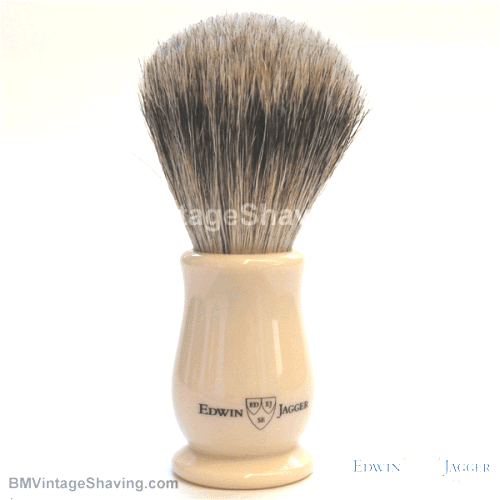 The compilation of all content on this site is the exclusive property of bmvintageshaving.com and is protected by U.S. and international copyright laws. 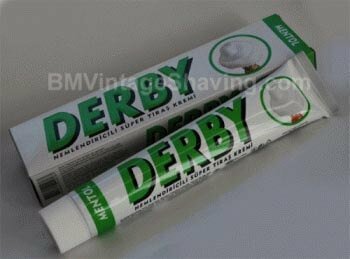 All software used on this site is the property of bmvintageshaving.com or its software suppliers and is protected by United States and international copyright laws. 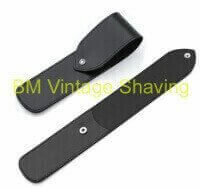 bmvintageshaving.com reserve the right to refuse service, terminate accounts, remove or edit content of an order, or cancel orders in their sole discretion. 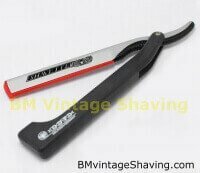 bmvintageshaving.com respects the intellectual property of others. If you believe that your work has been copied in a way that constitutes copyright infringement, please contact us. 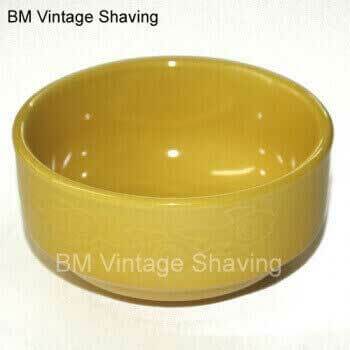 All items purchased from bmvintageshaving.com are made pursuant to a shipment contract. This means that the risk of loss and title for such items pass to you upon our delivery to the carrier. However, we ship UPS< USPS Priority Mail with Delivery Confirmation and will provide a tracking number and shipping receipt for any claim. bmvintageshaving.com attempts to be as accurate as possible. However, we do not warrant that product descriptions or other content of this site is accurate, complete, reliable, current, or error-free. 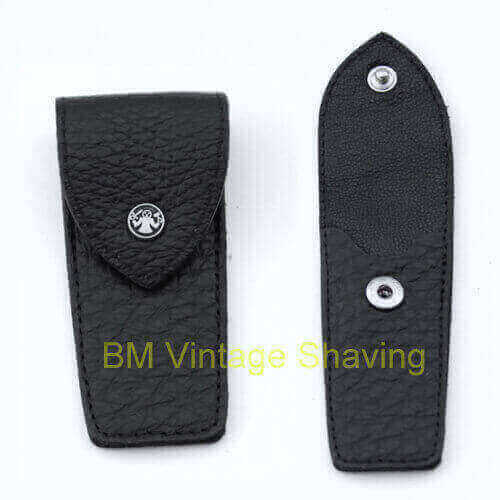 If a product offered by bmvintageshaving.com itself is not as described, your sole remedy is to return it in unused condition for a refund. However, significant restrictions apply to the return of our razors, since they cannot be resold due to Health Department restrictions. Except where noted otherwise, the List Price displayed for products on our website represents the full retail price listed on the product itself, suggested by the manufacturer or supplier, or estimated in accordance with standard industry practice; or the estimated retail value for a comparably featured item offered elsewhere. The List Price is a comparative price estimate and may or may not represent the prevailing price in every area on any particular day. For certain items that are offered as a set, the List Price may represent the aggregate of the manufacturer’s estimated or suggested retail price for each of the items included in the set. Your total satisfaction is our goal. If for any reason you are not completely satisfied with your purchase, you may return it unused, in new condition and in the original packaging, within 30 days of receipt for a full refund of the purchase price. Please note: Shipping charges are not refundable unless the return is the result of our error. 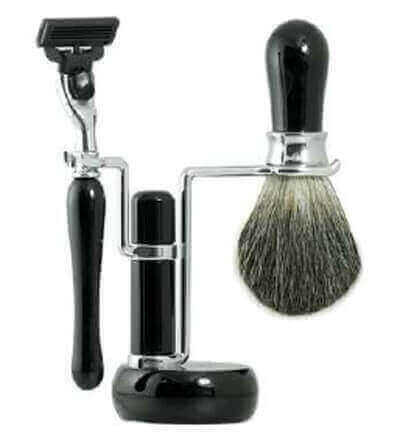 For health reasons we are unable to accept returns on personal care products such as razors and shaving brushes, unless defective. Also due to the possibility of contamination and our inability to confirm that the product is unused we are unable to accept the return of soaps, creams, lotion, or other products which do not have a secure tamper-proof package seal. 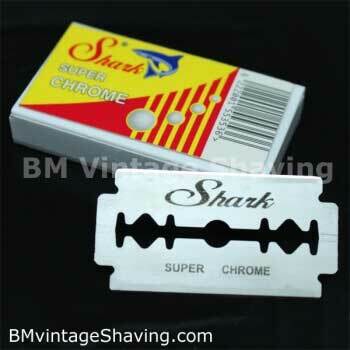 all Straight Razors are no return or exchange. Please email us for a Return Authorization Number. Provide all pertinent details including order number, order date, and reason for the return. Please also specify whether you would like an exchange or refund. You will receive a reply email including a Return Authorization Number. No credit will be issued for an unauthorized return. bmvintageshaving.com does not sell products for children. By placing an order, you are certifying that the recipient of the order is 18 years of age or older. 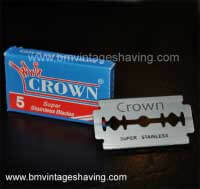 Most items offered by bmvintageshaving.com may be assumed to be extremely sharp and capable of inflicting serious injury if handled improperly. bmvintageshaving.com assumes no responsibility for the misuse of the item by the recipient. 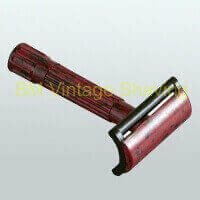 THIS SITE IS PROVIDED BY bmvintageshaving.com ON AN “AS IS” AND “AS AVAILABLE” BASIS. bmvintageshaving.com MAKES NO REPRESENTATIONS OR WARRANTIES OF ANY KIND, EXPRESS OR IMPLIED, AS TO THE OPERATION OF THIS SITE OR THE INFORMATION, CONTENT, MATERIALS, OR PRODUCTS INCLUDED ON THIS SITE. YOU EXPRESSLY AGREE THAT YOUR USE OF THIS SITE IS AT YOUR SOLE RISK. 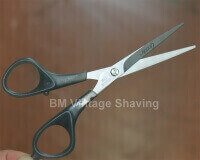 TO THE FULL EXTENT PERMISSIBLE BY APPLICABLE LAW bmvintageshaving.com DISCLAIMS ALL WARRANTIES, EXPRESS OR IMPLIED, INCLUDING, BUT NOT LIMITED TO, IMPLIED WARRANTIES OF MERCHANTABILITY AND FITNESS FOR A PARTICULAR PURPOSE. bmvintageshaving.com DOES NOT WARRANT THAT THIS SITE, ITS SERVERS, OR E-MAIL SENT FROM bmvintageshaving.com ARE FREE OF VIRUSES OR OTHER HARMFUL COMPONENTS. 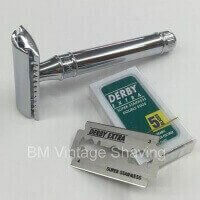 bmvintageshaving.com WILL NOT BE LIABLE FOR ANY DAMAGES OF ANY KIND ARISING FROM THE USE OF THIS SITE, INCLUDING, BUT NOT LIMITED TO DIRECT, INDIRECT, INCIDENTAL, PUNITIVE, AND CONSEQUENTIAL DAMAGES. By visiting bmvintageshaving.com , you agree that the laws of the state of California, without regard to principles of conflict of laws, will govern these Conditions of Use and any dispute of any sort that might arise between you and bmvintageshaving.com or its affiliates. 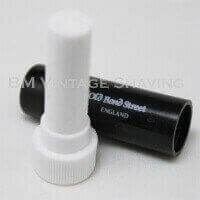 In the event of any product is listed at an incorrect price due to typographical error or error in pricing information received from our suppliers, BM Vintage Shaving shall have the right to refuse or cancel any orders placed for product listed at the incorrect price. we shall have the right to refuse or cancel any such orders whether or not the order has been confirmed and your credit card charged. If your credit card has already been charged for the purchase and your order is canceled, we will immediately issue a credit to your credit card account in the amount of the incorrect price. 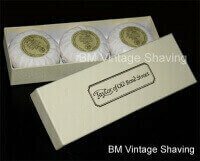 These Conditions will supersede any terms and/or conditions you include with any purchase order, regardless of whether BM Vintage Shaving signs them or not. We reserve the right to make any changes or updates to this site and these Conditions at any time. Please review our other policies posted on this site. These policies also govern your visit to bmvintageshaving.com . We reserve the right to make changes to our site, policies, and these Conditions of Use at any time. If any of these conditions shall be deemed invalid, void, or for any reason unenforceable, that condition shall be deemed severable and shall not affect the validity and enforceability of any remaining condition.